Is Contentment Out of Reach, or Simply a Destination? 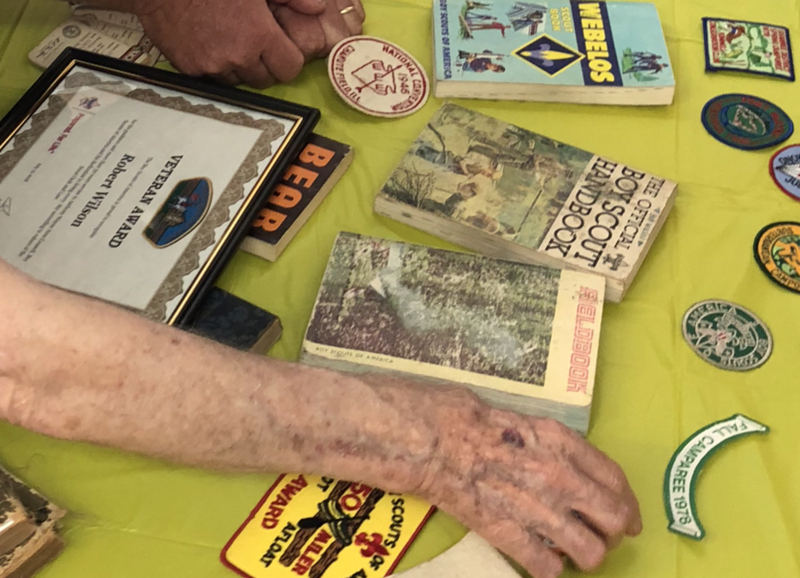 Dad’s nostalgia on a recent Friday evening carried him back through the 35 years he spent with Boy Scouts of America. Making it all the way to one badge short of Eagle Scout (a story he’ll tell with little prompting) set him up to spend over 20 years as a Scout leader. His loyalty and dedication earned him a pin, a certificate and a handshake from the district head of scouting before a gathering of family and friends. The author calls this state of wandering a “holy discontent”. My father isn’t a spiritual man. He’s pragmatic. Keep your nose clean, work hard, help others and you’ll be seen as a good person. It’s worked for him, so it isn’t likely he’d call his current state of discontentment “holy”. The truth is, he’s not looking for holy. Maybe the faith he and God settled on during his childhood in the Presbyterian church and adulthood in the Catholic church are his passage to eternity. I pray they are. Because I want him to rediscover contentment. 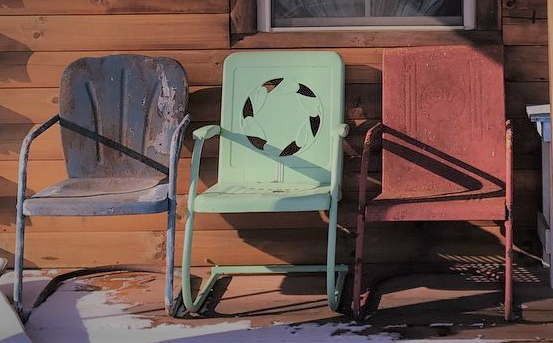 I want my father to know this isn’t all there is — a reclining lift chair in a cramped nursing home room, meals with strangers, baths at the hands of another stranger. This isn’t all there is, but maybe it’s a path to all there is. All his life, Dad has told stories, so many good ones that I’ve written a book full of them. Within those pages are tales of his years as a mailman, a soldier and a Boy Scout. Reflecting on his best days brings a measure of contentment, but the truth is it can’t last. Because those roles aren’t eternal. They aren’t the destination. Like most of us, Dad is wandering, a discontented pilgrim with a suitcase full of memories, in search of an eternal home. 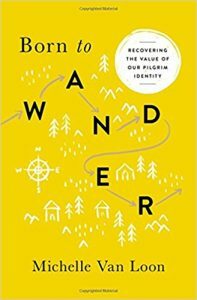 Michelle Van Loon’s beautiful book Born to Wander: Recovering the Value of Our Pilgrim Identity has caused me to think more deeply about my own state of “holy discontent”. 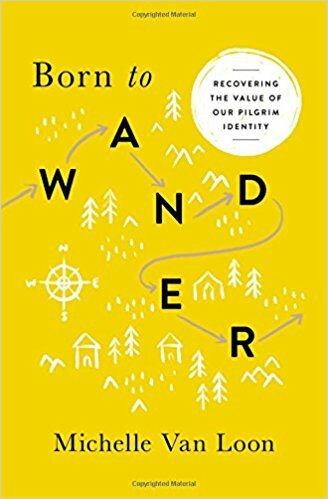 With imagery from Scripture and stories from her own life, her book is helping me open my heart to this pilgrim journey and understand that it’s not just okay to “wander”, it’s in my DNA. If you’ve ever felt restless and rootless, read Born to Wander. It’s been kind of quiet around here because I needed to tend to a few things “behind the scenes” on this blog. With that housecleaning, our image got freshened up a bit. I still have some work to do on this new website, but the biggest news for you is that I’ll be communicating with subscribers to the blog a bit differently. Instead of an automatically-generated email every time I post, subscribers will receive one personalized email a month with a bit of added content, along with links to that month’s posts. Four times a year, the monthly email will include a few surprises — book reviews, links to interesting “finds” on the Internet and free material. Just for subscribers! The added bonus for me is that prospective publishers (did I tell you I’m writing a book?) want to know that I have a strong platform. In other words, they expect to see who I’m connecting with regularly. And if you’re a subscriber, that’s YOU! So, if you’re visiting me from Facebook or somewhere else in the cyber world, please consider subscribing. Drop your name and email address in the slot at the top of my home page or the bottom of this page and we’ll be connected. Thank you, DeVonna. 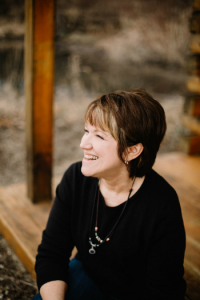 I try to take note when life intersects with what God is teaching me through others. Always a blessing and thoughtful inspiration. Thank you, Kathy. Processing life’s ups and downs here is my therapy of choice. (1) I love the cover image for this post. I’m assuming that’s your dad’s hand. Beautiful, as are your words about your dad’s experience. (2) Keep us all posted on how things unfold with your book project! Hooray! Thank you, Michelle. Yes, that’s Dad’s hand. He literally has a little blue suitcase full of Boy Scout memorabilia, some of it quite old and valuable. These pieces of his past are treasures to him. And, the book! I’m sure I’ll be talking about it here from time to time. Looks great Ingrid! Love reading your posts. гeally how tο do blogging.